Need a vacation? 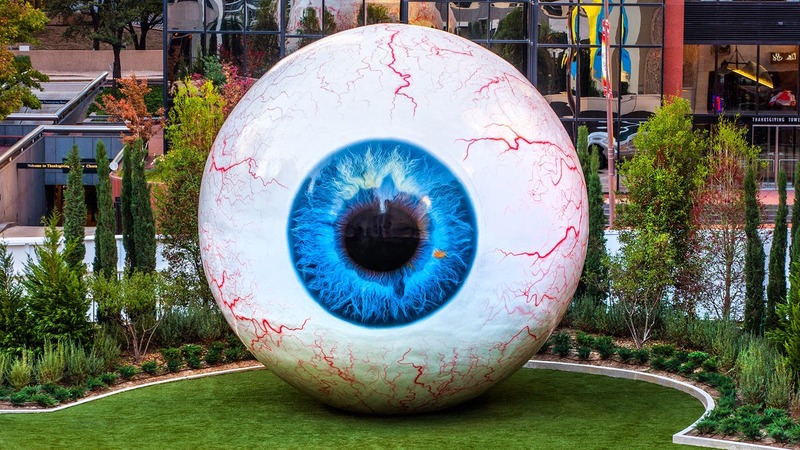 Head to Dallas to check out the 30 foot eye installed at the Joule Hotel's garden. I can appreciate artist Tony Tasset's inclusion of an iris nevus (it looks like a yellow dot on the iris), and come to find out this is a sort of knock on a self-portrait as Tasset was using his own eye as his model. He probably needs some rewetting drops (though, no surprise, everyone else writing about this thinks he needs Visine. sigh). Maybe a walk-in version with a to-scale lens, nerve, and retinal findings next, please?